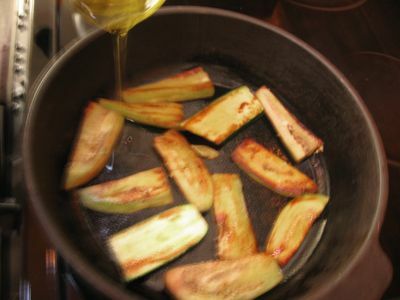 One layer at a time, saute the eggplant and then the zucchini in hot olive oil in the skillet for about a minute on each side to brown very lightly. Remove to a side dish. Slice the tomato pulp into 3/8-inch strips. Lay them over the onions and peppers. Season with salt and pepper. 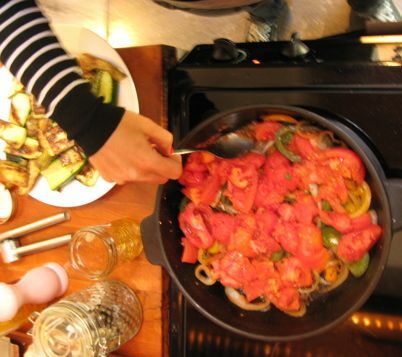 Cover the skillet and cook over low heat for 5 minutes, or until tomatoes have begun to render their juice. Uncover, baste the tomatoes with the juices, raise heat and boil for several minutes, until juice has almost entirely evaporated. 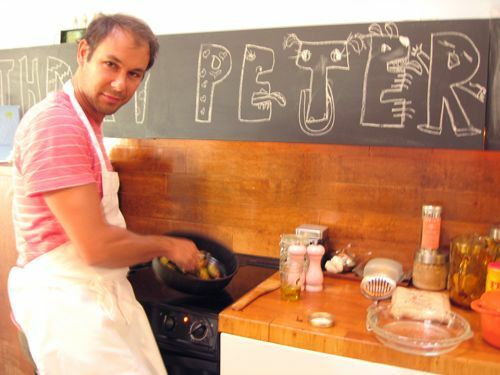 Peter Dimakos is the new Julie Child. In his loft, he takes Julie's recipe very seriously. 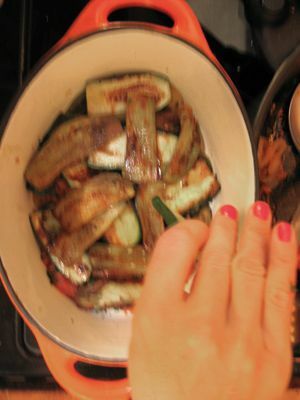 Browning each strip of eggplant and zucchini is time consuming, but worth it. Constant basting is key in Julia's recipe. 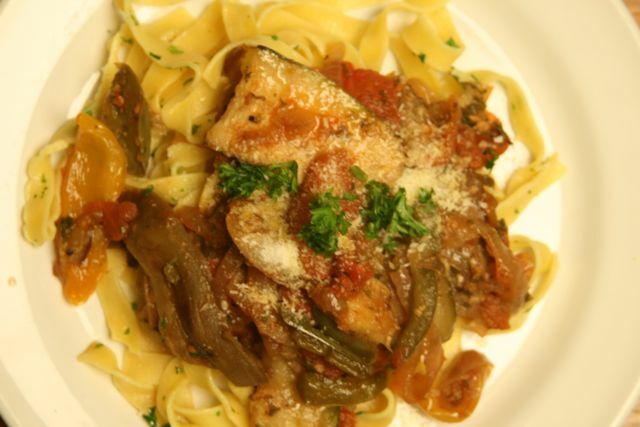 Quality Italian egg noodles paired beautifully with this dish.